In accordance to the American College of Sports Medicine (ACSM) Guidelines, school aged adolescents should participate in at least 60 minutes of moderate to vigorous physical activity daily that is developmentally appropriate and enjoyable involving a variety of activities (1). Not only is regular physical activity important for growth and development, but maintaining a physically active lifestyle during paediatric years also reduces the likelihood of developing chronic diseases later in life (2). 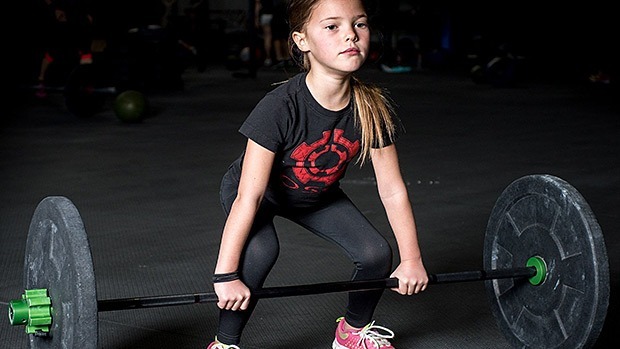 Along with aerobic exercise such as swimming and bicycling, there is growing research indicating that resistance training can provide unique benefits for adolescents when appropriately prescribed and supervised. For the purpose of this article, the term adolescence refers to a period between childhood and adulthood and includes girls aged 12-18 years and boys aged 14-18 years. By definition, the term resistance training refers to a specialised method of conditioning, which involves the progressive use of a wide range of resistive loads and a variety of training modalities designed to enhance health, fitness, and sports performance (3). When tailoring a program using appropriate sized equipment, involving exercises within the adolescent’s capability and applying gradual progression, optimal growth and development of the musculoskeletal system can be achieved. RT exercises can range in complexity from simple body weight, dumbbell, or machine-type resistance exercises to more advanced techniques such as plyometrics, and Olympic-style lifting. Implementing a resisted training program for adolescents may not only improve muscular strength, endurance, power, and balance; there is evidence for improvements in body composition and motor skills, as well as functional performance improvements for individuals coping with conditions such as cystic fibrosis and cerebral palsy (3). Programs are always tailored towards the need of the individual adolescent and will often comprise of a combination of Pilates and clinical exercise, strength- based training using weights and sports specific exercises and drills. The expected outcome is a change in behaviour including a change in performance in either PE at school or sports performance depending on the adolescent’s sporting ability and needs. 1. Faigenbaum, A. and Micheli, L. Youth Strength Training. Indianapolis, IN: American College of Sports Medicine; 2017. 3. Faigenbaum, A., Kraemer, W., Blimkie, C., Jeffreys, I., Micheli, L., Nitka, M., & Rowland, T. (2009). Youth Resistance Training: Updated Position Statement Paper From the National Strength and Conditioning Association. Journal Of Strength And Conditioning Research, 23, S60-S79.